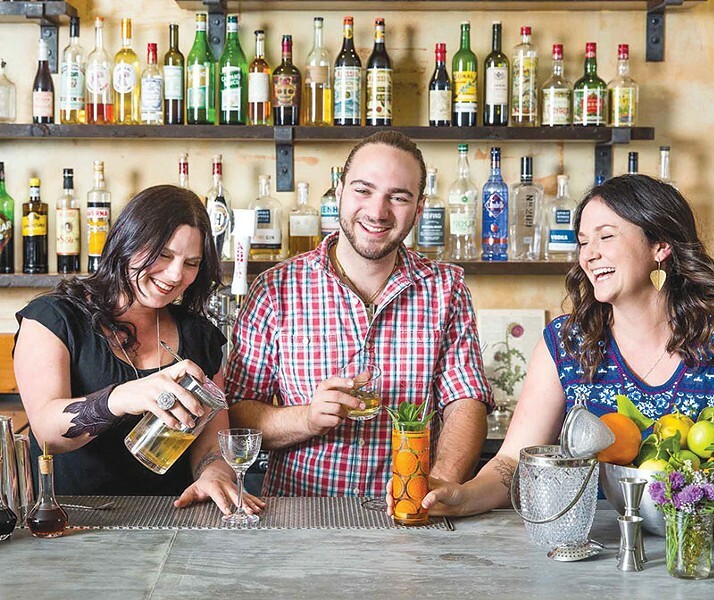 Healdsburg has been a cocktail hotspot ever since Scott Beattie started shaking things up at Cyrus in 2005. Cyrus closed in 2012, and Spoonbar has taken up the mantle of craft cocktails. As things go in restaurants and bars, the employees of one place leave to open their own place. That's what happened with Duke's Spirited Cocktails. Spoonbar alumni Laura Sanfilippo, Tara Heffernon and Steven Maduro opened Duke's in June to showcase what they call an "herb-centric cocktail menu." In fact, Heffernon grows many of the herbs for the bar. Looks for cocktails like Night Vision ($13), Spirit Works barrel-aged gin, carrot, caraway, lemon and Sutton Cellars vermouth; the Daily Tot ($12), made with Plantation rum, Delord Armagnac, brazil nut orgeat, Amaro di Angostura, orange, lime and allspice; and the Fine Line ($10), Sonoma Brothers vodka, Guayakí yerba mate, verbena and house-made nectarine-tarragon bitters. All that booze requires a bit of ballast to keep you steady. Nearby Chalkboard restaurant makes bar snacks for $5–$6 like pickled vegetables, rosemary mixed nuts, marinated olives and chips and salsa verde.